US Vice President Joe Biden will meet with Archbishop Demetrios, of the Greek Orthodox Church in Philadelphia, USA. The two men will meet next Wednesday, July 9, at the official dinner ceremony to mark the 42nd Greek Orthodox Church Assembly, which takes place in Philadelphia July 6-10. The Greek Orthodox Assembly is an institution first launched in 1922 and it takes place every two years. The Assembly includes all member hierarchs, that is, all active canonical bishops in its region. 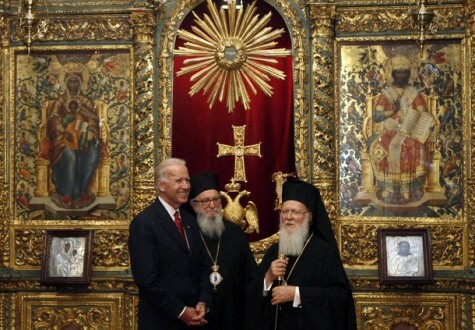 US Vice President has met Archbishop Demetrios before. At their last meeting held at the Greek Orthodox Archdiocese premises in Manhattan, NY, in November 2011, the US official expressed his sincere hopes that Greece will find its way out of the crisis.